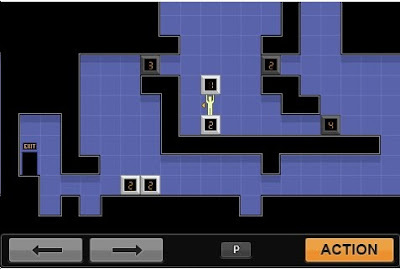 Blockman is one of the best iphone puzzle apps of 2011. Trung Trang is responsible! "It's a remake of a similar game called BlockDude I used to play on my TI-83 Calculator." 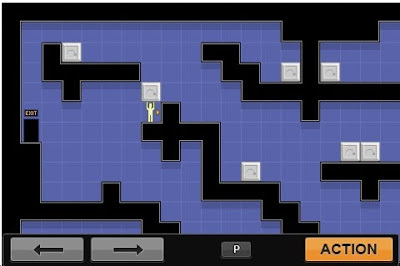 Brandon Sterner wrote the original puzzles for BlockDude. 80 levels for .99 I have already spent 2 hours on this app and have solved 15 levels. Well worth the money! Actually it's a ripoff of a Dos game also called BlockMan which came out before the TI-83 clone of it. The TI-83 knockoff came out in 2001, the original BlockMan came out in 1994. Just found out it was actually pulled from the Apple store for copyright infringement. Please don't Jailbreak your ipod/iphone.